Now that #IAMKREWE, how the hell do I meet you? Now this is where I have a horrible time and I am lucky enough to have already started meeting people online, once I’ve met someone online it makes it much easier for me to talk to them in person. You may be different and may be more outgoing than me and if that is the case you will be golden! Share your charging station, good chance to talk when you are waiting for a phone/tablet to charge! See someone hiding in corner all quite? Go engage with them, make a friend even though they may not be the most social they are out at night so they want to meet people! Stay active on Twitter/IAMKREWE.org/Facebook group, these are friends for life now! I know a lot of this is very general, but I can’t give you a set instruction on how to meet people, that is why I am so horrible at it! However if you are willing to help people, they are willing to help you. If you want to make new friends, so does everyone else at these evening events. If they didn’t they would stay hidden in hotel room playing with the new tech they learned that day. Hello Everyone! Sorry for the delay in posting but this is super important! Tech Ed 2013 registration will be opening on February 12th so make sure you start begging your bosses for approval to go to this conference. I am lucky enough that I received my approval already and plan on booking everything as soon as registration opens. I strongly recommend you read on to know how to make the best out of your TechEd experience, with much more content on this subject to come as time gets closer. TechEd was an extremely busy week, and it was a ton of fun. There were many challenges throughout the week maintaining my schedule however it was overall another amazing year. I had 3 goals I wanted to complete, and I feel I completed all 3 of them. For the first 3 days (0-2) I was able to fit in time to write a summary, for the last 2 I did not have much free time however I will summarize them now. If you do not wish to read through those 3 blog post I’ll tell you now that I did amazing networking with my buddies in #TheKrewe on Day 0, on Day 1 I failed my #60Days2MCSE certifications (70-246) however I learned a great deal and blogged details about follow up steps. Later in the Day on Day 1 I took the beta exam for Windows 8, Configuring. I will not know my score until the full exam is released however I feel confident that I have passed this exam and am excited to find out for certain. Day 2 came along and started just as crazy, I rushed to breakfast, rushed to The Keynote, and then rushed to the first exam (70-247) which I was not required to take and pass however I did take and fail it! I was lucky enough between exams to get a chance to write my blog post, and start focusing on the Server 2012, Configuring Exam I was about to take. The exam was a bit more rough than the Windows 8 exam, and I feel it was focused heavily on Active Directory. I am unsure if I passed it; however since it is also a beta I will not know until the full exam is released. Day 3 was not as exhausting however it was time consuming because I was attending sessions and I had little time between them. I started with a session about Storage and Hyper-V, most of it was over my head and felt more like a sales pitch, I followed that up with VIR303 which covered the Networking side of Hyper-V, I felt it was a solid presentation; but over my head again because I am not the network guy. I will admit this is the session I took the most notes in though. In the afternoon I went to Optimizing SQL for the Private cloud, it was very interesting learning about the MAP Toolkit which I had never used before and how they used it to plan for a large scale SQL deployment in a virtual environment. After this session I attended the Exam Cram for the 246/247 and then headed back to the hotel to rest some for that night. 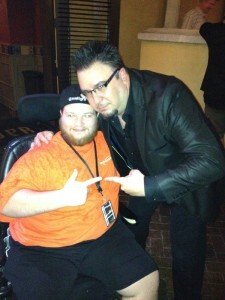 In the evening I was attending the Microsoft Springboard Party at Ember in Downtown Orlando. While there I had a chance to network more and I was able to meet more Indiana locals including the president of IWUG. I never knew that I could network so well if I just talked to people! Whew at this point I wasn’t sure if I was excited TechEd was almost over or not. I love going however it completely physically and mentally drains you. 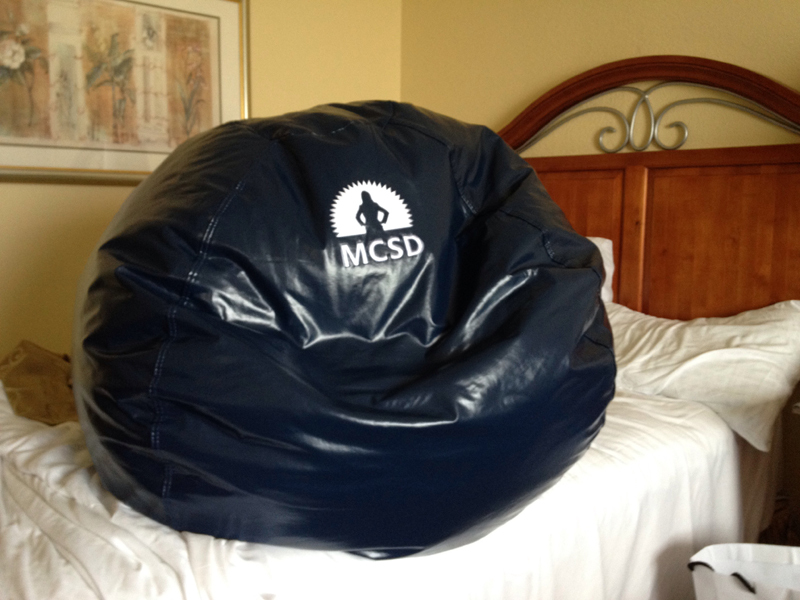 I spent another morning in sessions, followed by an afternoon winning a bean bag (Sadly not an MCSE bag) and finishing up my networking in the alumni lounge. The evening of the last day was the closing party at Universal Studios Islands of Adventure. I had a good time checking out everything and enjoying free unlimited food from all the stands around Universal. It was cool to get to check everything out in a relaxed environment. I had an amazing time and would not trade it for anything. I am hoping to get to go back next year and see all of my friends in #TheKrewe in New Orleans for TechEd 2013 June 3rd – 6th! In the months leading up to TechEd I decided to become much more involved. I vowed that I was going to Network all throughout TechEd. I posted on #TheKrewe Facebook page which I had been involved with the year before; but did not really network much. I asked how I can break the ice with people when by nature I am not the most social until I know people. Many people told me I was already doing a decent job being involved with #60Days2MCSE, and promoting myself on Twitter before TechEd. After posting that I was approached by Michael Bender asking if I’d be interested in helping with #TheKrewe Meet N Greet party which was a good time last year, and I was planning on attending anyway. I went ahead and offered to help, and then became the person coordinating the volunteers for the event. It wasn’t much work, and I figured it’d be a good way to get to know more people. Day 2 was a rough start, every day you progress through TechEd the more exhausted you feel in the morning. The day started with another Keynote that was all about Windows 8, the keynote mostly felt like a basic how to session on how to navigate the OS. I was a bit disappointed in the lack of deep detail, although watching them use Windows 2 Go was pretty nifty. After the Keynote I was in a hurry to get to my first certification of the day which was the 70-247. I did not need to take this exam, however I figured that it was free so why not? The exam was challenging like I expected, and I was unable to pass it. After that I had some time to browse the TechExpo floor, then grab lunch before my next exam. The exam I took in the afternoon was the 71-410 which is Server 2012 Configuring. I was surprised by the exam because it mostly covered Active Directory. I have completed the Active Directory Exam, so I was mostly familiar with the content. I will know about if I passed the beta exams in about 2 months. The day went on and I had a little bit of time to learn about Windows Phone and convince myself I want one (have not bought one). I didn’t have much time after the Windows Phone demo to get to my next session but I made it. I attended Mark Russinovich’s session on using the sys internal tools to discover malware to remove it. This was a great way to wrap up the sessions for the day. In the evening was the community night which I spent talking with some SQL people and talking about the Indy PowerShell User Group, which I will be helping jumpstart in the coming months. The night ended with relaxing in the hotel room and reenergizing for the next day.